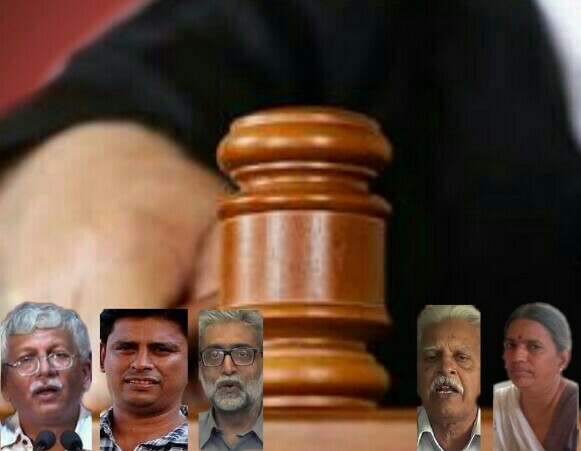 The three-judge bench headed by CJI (Chief Justice of India) Dipak Misra and comprising of Justice A M Khanwilkar and Justice D Y Chandrachud, delivered the verdict to extend the house arrest of the arrested rights activists; Varavara Rao, Vernon Gonsalves, Arun Ferreira, Sudha Bhardwaj and Gautam Navlakha, for 4 more weeks via 2:1 ratio. 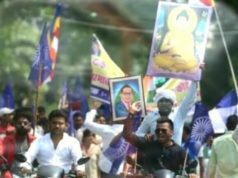 The Supreme Court is on everyone’s Bokeh lens from last few days after it is delivering verdict on cases like Ramjanmabhoomi-BabriMasjid title case, Women’s Entry to Sabarimala Temple and now the verdict on extension of arrested activists in the Bhima-Koregaon case. The three-judge bench headed by CJI (Chief Justice of India) Dipak Misra and comprising of Justice A M Khanwilkar and Justice D Y Chandrachud, delivered the verdict to extend the house arrest of the arrested rights activists; Varavara Rao, Vernon Gonsalves, Arun Ferreira, Sudha Bhardwaj and Gautam Navlakha, for 4 more weeks via 2:1 ratio. CJI Dipak Misra along with Justice A M Khanwilkar found out that the accused persons in the case do not seem to have been arrested due to dissent but prima facie, based on evidences, their links with the banned Maoists organisation. 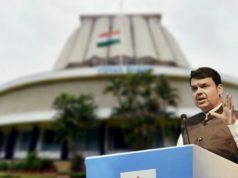 The third judge in the case, Justice D Y Chandrachud, however, expressed his dissent over Pune police’s press conference even though the matter was in the court and their investigation. He expressed the need for an independent investigation through SIT (Special Investigation Team). “This is a fit and proper case for Court-monitored SIT investigation. Conduct of Pune Police fortifies an impression that investigation is not fair,” said Justice D Y Chandrachud. The court made a remark, “accused persons have no say in seeking investigation of their choice and cannot choose the manner of arrest,”. The court also denied the need for an SIT like investigation in the case. The BJP spokesperson, Sambit Patra, admonished the Congress party for supporting those arrested in the case. 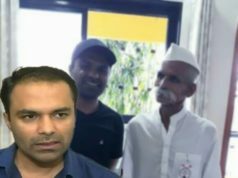 “You would remember how the Congress was playing politics on the issue and its chief Rahul Gandhi shamelessly stood by these urban naxals. He was posing as their lawyer in front of the entire nation,” asserted Patra while slamming the Congress party and it’s chief, Rahul Gandhi. Patra also highlighted the past history of those arrested in the Elgar Parishad case. He claimed that Varavara Rao was previously arrested while Gonsalves is a convict in the 2007 arms act. He further claimed that Navlakha was accused by a former Jammu & Kashmir Chief Minister of instigating divisive sentiments in the state. Sambit Patra was not the only one, BJP president, Amit Shah, took it to Twitter to admonish Rahul Gandhi and the Congress party for standing blatantly with the anti-nationalist for their political gains. “Those who stopped down to the level of politicising an issue of national security have been exposed by the Honourable Supreme Court’s decision today. It is high time that the Congress now clears it’s stand on this critical issue of Urban Naxalism,” tweeted Amit Shah in a series of his tweets against Congress party and it’s chief Rahul Gandhi. Those who stooped down to the level of polticising an issue of national security have been exposed by the Honourable Supreme Court’s decision today. It is high time that the Congress now clears it’s stand on this critical issue of Urban Naxalism. “India is a vibrant democracy with a healthy culture of debate, discussion and dissent. However, plotting against the country with the intent to harm our citizens is not one of those. Those who politicised this issue need to apologize.” tweeted Amit Shah today after the apex court delivered it’s judgement. There is only one place for idiocy and it’s called the Congress. 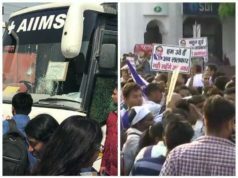 Support ‘Bharat Ke Tukde Tukde Gang’, Maoists, fake activists and corrupt elements. Defame all those who are honest and working. 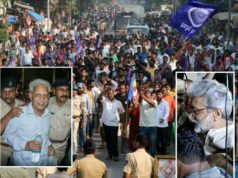 The Bhima Koregaon violence broke out on January 1 after the Dalit community held the event called Elgar Parishad on the 200th anniversary of victory of Mahars (Backward caste warrior) over Peshwas (Upper caste warrior) in the Battle of Bhima Koregaon in 1818. 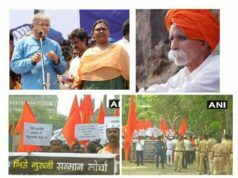 The activists were arrested from across the nation by the Maharashtra Police on August 28, in the Bhima Koregaon violence case. The arrest was challenged in the Supreme Court calling it the arrest over showing dissent towards government’s policies. Previous articleRecipe Time: How to make Delicious Shawarma at Home?